Eau Sauvage has remained undeniably modern since its creation in 1966. This sensual fragrance introduces a stylish, sophisticated take on the original citrus scent, featuring notes of myrrh, vetiver, and San Carlo bergamot. With a distinct, natural style, Eau Sauvage Parfum exudes a dark, elegant magnetism that is sure to mesmerize. Notes: Citrus. Myrrh. Vetiver. San Carlo Bergamot. Style: Sensual. Dark. Magnetic. 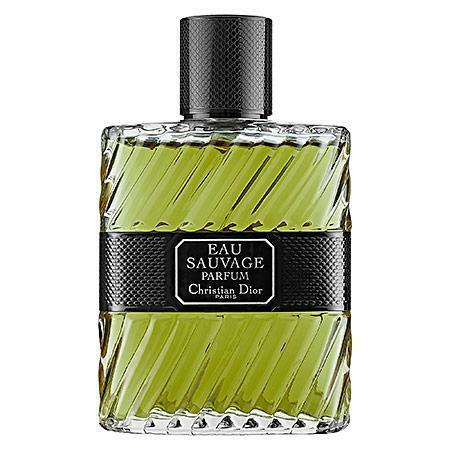 Dior Sauvage Eau De Parfum 2 Oz. Guerlain Champs-elysees Eau De Parfum Spray, 3.4-oz.